In association with the Polish Cultural Institute. women even more than men). music scene, exploring the rich links between jewish and gypsy music. !! !Hey- Check Out Seth Glass at MAKOR!!! 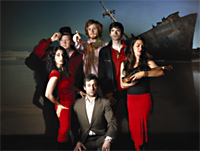 This Sunday Dec. 21st @8:00 pm (also appearing: Neshama Carlebach). Q Train to 7th Ave. M/N/R to Union Street 2/3 to Bergen St. F to 4th Ave.
JDub is teaming up with Brooklyn Jews to present a healthy alternative to the Chinese food and movie theater experiences of years past. When Hannukah and Christmas collide, we can�t help but throw down. Eric Drysdale from The Daily Show, musical performances by the Bialyrockers (featuring Annette Ezekiel of Golem & Jeremy Parzen of Les Sans Culottes), other surprise guests (good ones! ), and JDub�s own Mattissyahu. Plus free donuts and beer specials. Now doesn�t that beat fruitcake? Jewltide will sell out. Don�t be left at your neighborhood Matzah Ball. Get tickets early! Please Join Seth and friends for an intimate evening of original music as well as plenty of Carlebach songs- bring your voices! Sat. Jan. 31st. @9:00 p.m.
W. 79th St. & West End Ave.
puppet theater production of "The Dybbuk" here in Portland. After all this time, "Between Two Worlds/The Dybbuk" has been remounted, and this time it's going on the road. In New York, there are three performances: Thu 2/19 8 pm, Sat 2/21 8 pm, and Sun 2/22 3 pm at the Center for Jewish History, 15 West 16th St. For ticket info: (917) 606-8200.
two of the most exciting groups in New Jewish music. We're excited about this concert and hope to see you there! Shaare Zedek Medical Center in Jerusalem. Klezmatics with guest Joshua Nelson. Tickets available at TicketWeb or by calling 866-468-3399. $12 for both dynamic, versatile eight-piece bands! Free parking in adjacent lots or on the street. The Mesopotamian Arts Council presents..
For One Night Only! Shtetlbusters features an unlikely coupling of the irreverent and the pious. Hosted by Scotty the Blue Bunny, who will guide you on a journey into the shtick sensibility. With performances by Shoshi, Corie Feiner, Michael Feldman and more. Gypsy dance DJ set by Nat Rahav aka DJ Busquelo. 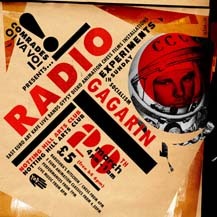 ...A frenetic monthly international music, dance and noise-art circus rave-up! Once again, Ron Caswell's TUBAPALOOZA part TROIS! SLAVIC SOUL PARTY CD Release! Zebulon 258 Wythe Avenue (betwixed Metropolitan Ave.
A FREE night of nothing but great TUBA bands! I'll be accompanied by Stuart Rabinowitsch on the piano. Odaiko New England & in vivo Productions, Asian drumming, dance, and theatre. Mail check to Workmen's Circle, 1762 Beacon Street, Brookline 02445. Andreas Schmitges - All the way from Cologne, Germany! With Live Klezmer from "FDT Klezmorim"
Vivi Lachs and a Live Klezmer set from "Klezmer Klub"
This Friday 16th 10pm in The Shamrock, Dunmanway.... The Fireflies complete with our new drummer Neil and some flashing lights. 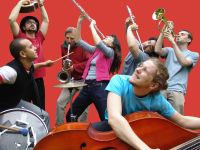 Come down for a rocking night of Klezmer madness!! e-mail The Jewish Dialogue Group, or call 215-266-1218. Oen Kennedy and Glenn Dickson perform @ the Brookline Tai Chi Center on Friday, January 6, 8-10pm in Boston's only balanced energy performing space. Oen Kennedy (voice, guitar, percussives and sounds) and Glenn Dickson (clarinet, loops) will attempt to match the balanced energy of the space with an evening of meditative and ambient music, calling on their combined knowledge of birdsong, stardust, kestral, microtones, overtones, undertones, and all manner of music of and by the world. Please come and journey through the sounds. Suggested donation: $5, kids; $10, adults. Saturday night, January 28, 8 pm. all citizens from every walk of life. professional and local musicians from all over NYC. 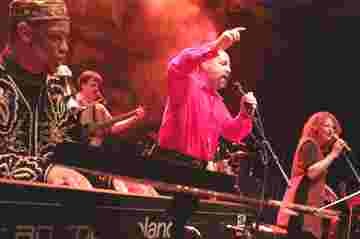 including blues, jazz, klezmir, funk, etc. An All Women's Music & Dance Festival! A concert for women only to benefit Professional Women's Theater, an organization which seeks to promote all-female performance opportunities, Featuring known and rising stars in the Jewish women's performing world! Singer-songwriters, dancers, vocalists.... Chanale! ~ Debra Landau ~ Rachel Kohl Finegold ~ Emilia Cataldo ~ Gabrielle Orcha ~ The Light Peddler's Band ~ Rena Needle ~ Tziporah Miriam Halperin... And MORE!!!! "Elevating the world through music and dance"
Save money! Processing fee is only $1 when you purchase with CASH at the box office BEFORE day of show! General Admission: Ticket purchase is not a guarantee of seating. Please call 215-222-1400 to reserve seating for dinner. COMMON CHORDS Concert for Peace: Common Chords is the musical and spiritual peace project between acclaimed musicians of different faiths (Muslim, Hindu, Jewish, Christian) coming together to express their hope for peace and ethnic understanding throughout the world. Sufi Rock Star and U.N. Ambassador Salman Ahmad and klezmer great Yale Strom are joined by Tabla virtuoso Samir Chatterjee, klezmer vocalist Elizabeth Schwartz and others. Admission is $20 adults, $16 seniors and students with valid ID, $8 children 12 and under. Cabaret! Bands! Art! Food! Costumes! Featuring Jenny Romaine, Daniel Lang/Levitsky, Jessica Lurie, Rima Fand, Sarah Aroeste, Avi Fox-Rosen, Abigail Levine, Abigail Miller, Aleza Summit, Ariel Federow, Quito Ziegler, Michelle Kay, Gaby Cryan, Xavier, AJ, Killer Sideburns, Zil Goldstein, Rachel Mattson, Gretchen Hildebran, Kate Huh and many more. Get your tickets now for TINARIWEN, our Tamashek rock heroes from northern Mali. We played on the same stage as them at the Festival of the Desert in January, and we will share the stage again on Sunday at the Bell House in Brooklyn! TINARIWEN in BROOKLYN - 7:30 PM doors -- 8:30PM our set!! don't be late!!!! tickets are $25 in advance and $30 at the door...so buy now!!! Super fun party benefit for our label JDub Records. Hosted by comedian Eugene Mirman and featuring other JDub acts....at Brooklyn Bowl, a venue notable for also housing a bowling alley, for all of you who like throwing things and knocking stuff over. 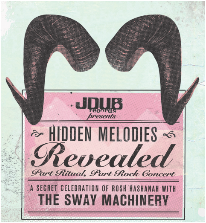 The Sway Machinery will take it over the top!!!! A night not to be missed!!!! The lineup includes feature performances by musician and artist Yoko Ono, and her son Sean Lennon; Japanese-American indie duo Cibo Matto; and the influential band Sonic Youth. Vocalist Mike Patton will appear as a special guest, and Mephista, Marc Ribot, Uri Caine, and John Zorn’s Aleph Trio will also play short sets. Both the performers and the theater are donating their services, ensuring that 100% of proceeds from ticket sales will go to benefit the victims of the earthquake and tsunami that hit near Sendai on March 11. Funds will be donated to the Japan Society’s Earthquake Relief Fund. For tickets, the public should call the Miller Theatre Box Office at 212/854-7799, M–F, 12–6PM. Tickets can also be purchased online at www.millertheatre.com. Ethnomusicologist David Badagnani has created a fantastic ensemble dedicated to performing traditional Chinese folk music showing once again the bountiful richness and diversity of Cleveland's cultural and ethnic communities. The ensemble has graciously invited me for the finale to create a fusion of both traditional Chinese and traditional East European Jewish folk music. $14 for the general public and $12 for Maltz Museum members; order in advance and save $2. Call (216) 593-0595 to order tickets. Join the Cleveland Chinese Music Ensemble (featuring vocalist Xue "Snow" Yu of Qingdao, Shandong, China) for an intimate evening of graceful and exotic music inspired by the fanciful images seen on mah jongg tiles--the four seasons, flowers, winds, and dragons--played on traditional Chinese instruments. As an added attraction, interspersed between the pieces will be selected readings (in both Chinese and English) of evocative poems from China's classical antiquity, as well as showings of traditional watercolor flower paintings. 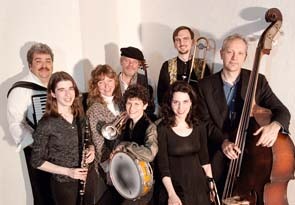 For a memorable finale, the internationally renowned, Cleveland-based klezmer violinist Steven Greenman will join the ensemble for a cross-cultural performance of a Jewish favorite, recreating the kind of musical interaction that could have taken place between Jewish and Chinese musicians in the Lower Manhattan of the early 20th century. This program is held in conjunction with the Maltz Museum of Jewish Heritage's showing of the "Project Mah Jongg" exhibition, which documents how this Chinese game of chance became a tradition among Jewish Americans beginning in the 1920s. The traveling exhibition, which was developed in New York City in 2010, opened at the Maltz Museum in January 2012. Tuesday, May 29, 7:30 p.m., Congregation Knesset Israel, 16 Colt Road, Pittsfield. Special concert: "The Connections Between African-American and Jewish Music" featuring Charles Neville and Celebration co-director Paul Green. Tickets, $18., and can be reserved in advance by calling (413) 442-4360, Ext. 10. The Celebration opens on Tuesday, May 29, at 7:30 p.m. with a special concert at Congregation Knesset Israel in Pittsfield. Guest artist, saxophonist Charles Neville of the Neville Brothers, will join co-director Paul Green and friends in a concert showing the deep connections between African-American and Jewish music. 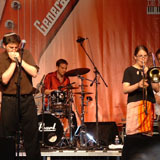 A wide variety of music illustrating the interaction between the two cultures will include works from the Yiddish Theater that demonstrate an early fusion of Jewish music and jazz, works from the blues and gospel traditions that have incorporated Jewish elements , and pieces that have Jewish roots, such as Klezmer music, which have incorporated African-American elements. Tickets are $18 and can be reserved in advance by calling (413) 442-4360, Ext. 10. These events are co-sponsored by the Jewish Federation of the Berkshires, Hevreh of Southern Berkshire, Congregation Beth Israel, Congregation Knesset Israel, Congregation Ahavath Sholom, Temple Anshe Amunim and The Berkshire Music School. Supported in part by grants from the Harold Grinspoon Foundation and the Pittsfield Cultural Council. The Summer Celebration of Music is also presented in cooperation with the Boston Symphony Orchestra Berkshire Education and Community Program. Join Ellen Allard and friends for an entertaining, interactive hour of musical merriment. Be prepared to sing, shout and dance along with this irresistible, award-winning Jewish children's performer and educator. Few musicians combine such fun Jewish content with such excellent musical and performing skills. Ellen is back by popular demand after presenting one of the highest rated shows at the 2012 BJMF. In Advance: $10 per ticket, $40 family maximum. Purchase advance tickets here. 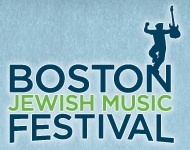 Presented in cooperation with PJ Library® and the Jewish Community Centers of Greater Boston. 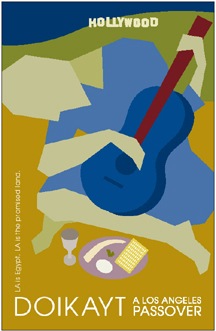 A program of the Ryna Greenbaum JCC Center for the Arts. ''FADA'' : French-Occitane singer and multi-flutist Eleonore Weill performes modern compositions and original songs by Miqueu Montanaro as well as old traditional famous and forgotten songs of resistance, peace, justice and love. Fada, French slang for "crazy", means literally, "inhabited by fairies." A new collaboration fronted by Pakistani singer Zeb Bangash ( Zeb and Haniya), this band of seven award-winning musicians from Lahore and Brooklyn weaves together the music of Eastern Europe and the Balkans with those of Pakistan, Afghanistan, and more. Hear Brooklyn based musicians Michael Winograd, Eylem Basaldi, Patrick Farrell, Yoshie Fruchter, Zoe Guigueno and Richie Barshay together with one of South Asia's most stunning voices.